Sleeper teams are the best part of the NCAA Division I men’s basketball tournament. Some will destroy your bracket, but if you bet big on the right school you may end up celebrating as much as the eventual champions. If there is one thing guaranteed about the tournament, it’s that nothing about the tournament is guaranteed. Here are a few sleeper teams with potential to make a run and contribute to the madness that is college basketball in March. We all saw what Jamie Dixon was capable of during his tenure at Pitt — making it to the elite eight in 2009 and earning a number one seed in 2009 and 2011. Now the head coach at TCU, Dixon is finding similar success in the Big 12. In his first season with the Horned Frogs last year, his team beat top-seeded Kansas in the Big 12 tournament and went on to win the NIT tournament. Dixon and the Horned Frogs are in the big dance this year and threatening to make some noise. The Big 12 is a strong conference — hosting teams like Kansas, Texas Tech and Oklahoma — and Dixon also has a relatively talented roster that can handle these tough opponents. Having another year to work with and coach his players should only mean more success for the Horned Frogs. Dixon’s simplistic system of strong defense and efficient offense led TCU to a top-ten ranking in the early stages of the season. Even after TCU fell off in the middle of the season, they remained competitive. With the exception of their 82-66 loss to West Virginia, they were always within 10 points of their opponents. TCU has five players averaging more than 10 points per game and big game experience that could prove invaluable in the tournament. Although the Crimson Tide basketball team has historically not been as successful as the school’s football team, this Tide squad is poised for a deep run. Their tournament success depends mainly on the play of first-year point guard Collin Sexton. Sexton and the Tide struggled to an 8-10 record in the SEC this year, but they are not to be slept on. With quality wins over No. 17 Auburn, No. 5 Texas A&M and No. 12 Oklahoma, this team has potential. In Alabama’s win over Oklahoma, Sexton shut down Oklahoma’s star point guard Trae Young, forcing him to turn the ball over five times. Coached by former NBA coach and player Avery Johnson, the Tide took down top-seeded Auburn before falling at the feet of a hot Kentucky team in the SEC tournament. Coming off of an impressive conference tournament, it appears that Alabama saved their best basketball for March. Missouri managed to finish the regular season fourth in the SEC with a record of 20-11, with wins over Kentucky, Texas A&M and Tennessee, all ranked No. 21 when they faced Missouri. Most impressively, they did all of this without their top recruit Michael Porter Jr.
Porter was the No. 1 player in his class coming out of high school — until Duke’s Marvin Bagley reclassified last summer after graduating a year early — but he’s was sidelined all season with a back injury he suffered in November. Porter Jr. — who is projected to be a lottery pick in the NBA draft — is back now, and his return skyrockets the Tigers’ value. Although the Tigers lost in the first round of the SEC tournament and Porter Jr. went just 5-12 with 12 points, the team still showed promise offensively while Porter Jr. was on the floor. Senior guard Kassius Robertson led the team in scoring with 16.2 points per game in Porter Jr.’s absence. If these two players can gel quickly, look for them to be a deadly one-two punch on the offensive end. Robertson brings experience to the Tigers at a time when it’s most vital. 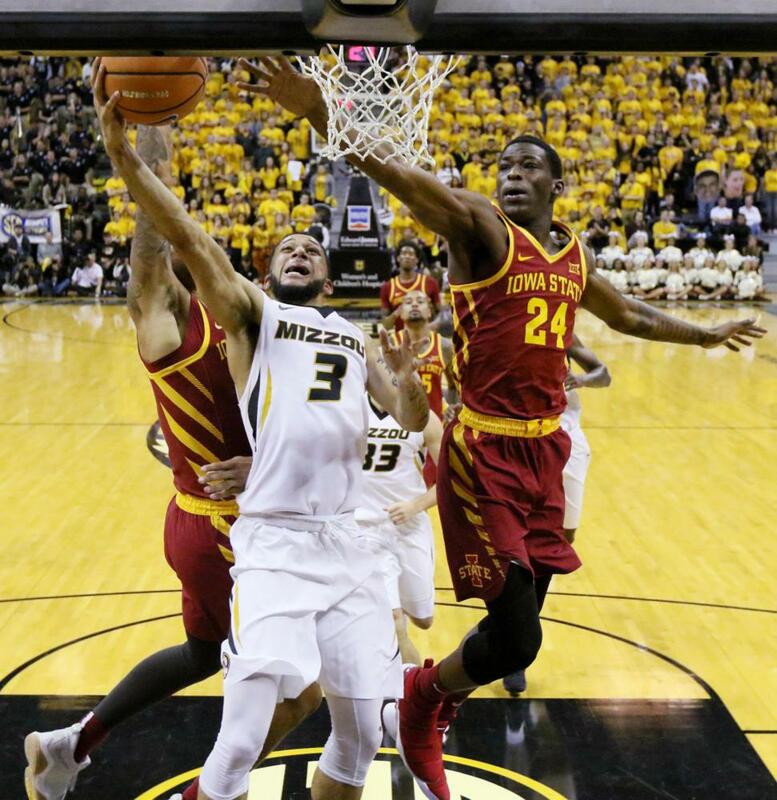 If he can step up as a team leader and Porter can get acclimated into the offense, Missouri is a team to look out for. NC State finished the year sixth in a very talented ACC, going 11-7 in conference and 21-11 overall. They proved to be a tough opponent this season with six wins over RPI top-50 teams — including No. 2 Duke, No. 10 North Carolina and No. 2 Arizona. The Wolfpack are without a dominant player, so unlike other teams they cannot rely on one guy to carry the workload for the whole group. Offensively, they have three players averaging more than 13 points per game — junior guard Torin Dorn, sophomore center Omer Yurtseven and graduate guard Allerik Freeman, who leads the team with 15.4 points per game. Despite a number of impressive victories, NC State has been plagued by inconsistency this season, losing to Northern Iowa, Georgia Tech and Boston College — all teams that won’t be in the NCAA tournament this year. The Wolfpack will depend on Yurtseven to establish the team’s offensive and defensive play. He leads the team in both rebounds and blocks per game, in addition to being second in scoring. Yurtseven’s rebounding appears to be the key for the Wolfpack. He had fewer than 10 rebounds in nine of the Wolfpack’s 11 losses this season. Look for Yurtseven to control the glass and carry the Wolfpack on both ends of the floor when they need a player to step up.